IAMBRIGITTE : it's MAC's 4th month birthday! it's MAC's 4th month birthday! 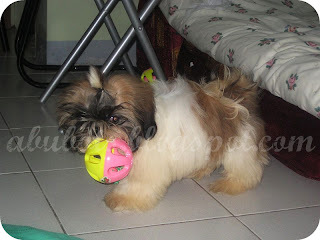 yeyyy...it's MAC's 4th month birthday last July 15! Happy Birthday to my baby MAC! 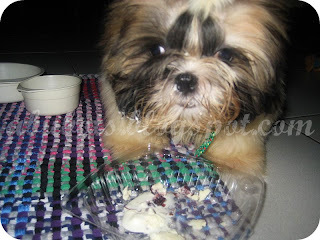 of course, i didn't let him finish everything..but at least he gets some treat every now and then. i'm actually excited to celebrate MAC's first birthday. 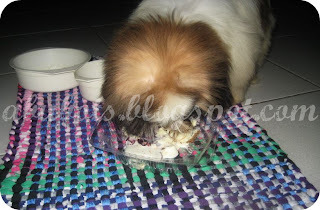 didn't you know that back in the province, we really celebrate our pets' birthday by having a cake, some pasta, chicken and ice cream? i can't wait to have one like that for my baby! I believe that it is more than obvious that you will be a wonderful loving mom. he is SO cute and fluffy! I wanna cuddle him. From the way you care for MAC, you'll be a great mom for sure!